This activity encourages children to practice scissor skills, visual motor skills, sequencing, pasting and drawing. All on ONE page! Pretty handy huh? 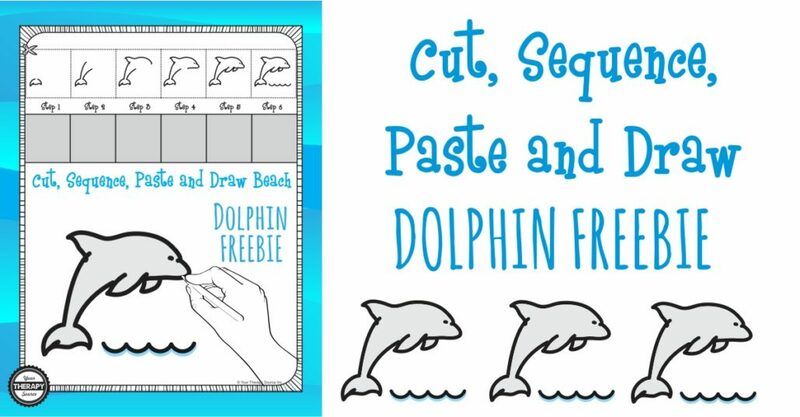 Sticking with the beach theme, this Cut, Sequence, Paste and Draw Dolphin page is free from the Beach themed packet. 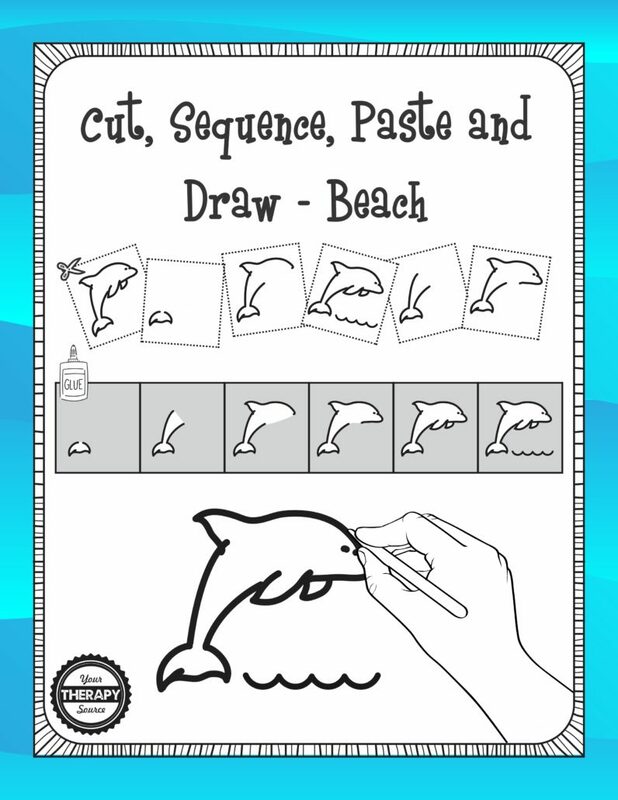 Check out the entire Cut, Sequence, Paste and Draw Beach Themed Packet.